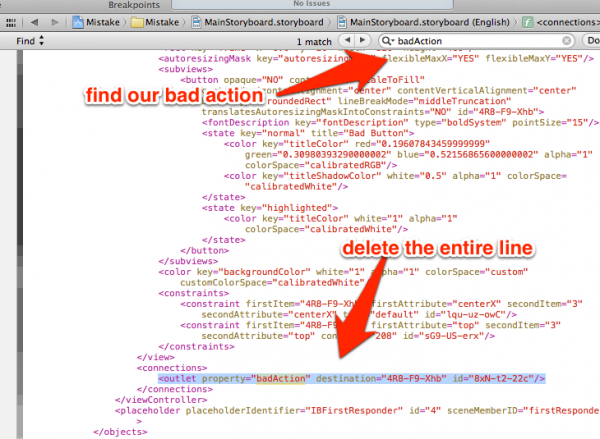 This will allow you to see what the storyboard actually looks like in XML. 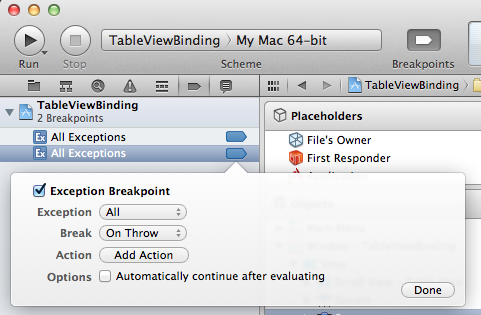 Hit Option+F to bring up the Find in Context menu. Now search for whatever is causing you a headache, then delete the entire line. Make sure the opening and closing brackets are selected too. You may see more than one occurrence of your action in this file – we only want to get rid of the “outlet”reference here. If you delete all occurrences it’s not a big problem, but you will have to re-connect your actions to the code later.